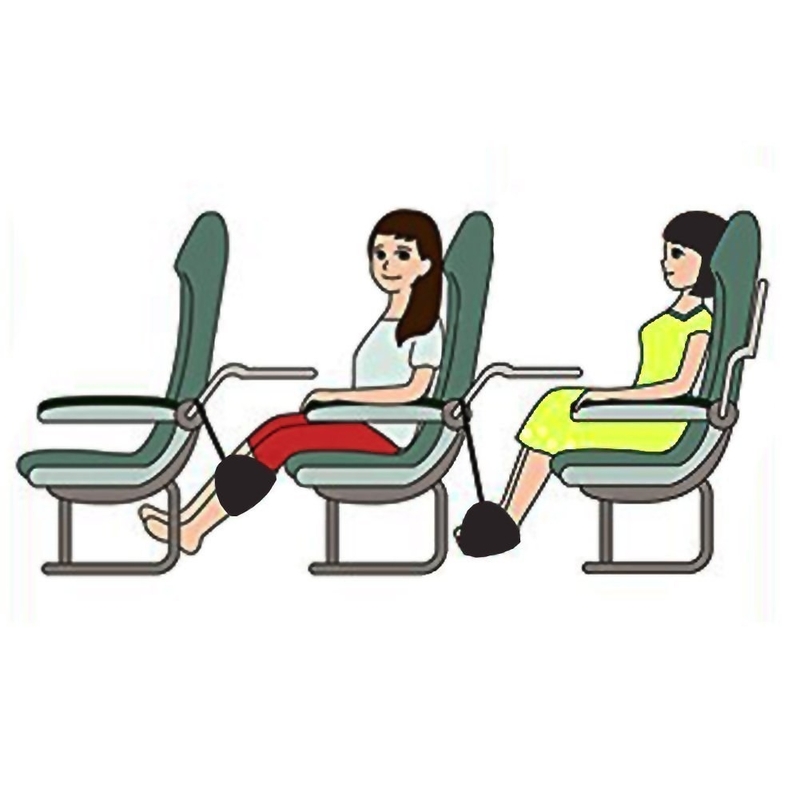 Never travel while stressed again. 1. 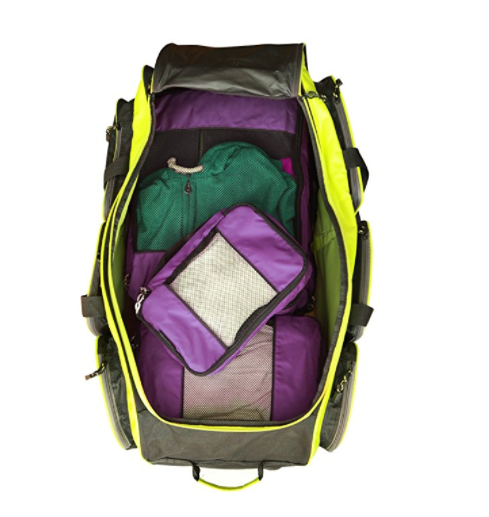 A set of packing cubes to avoid having a jumbled mess in your suitcase. Get a set of five from Amazon for $17.96 (down from $49.95). Available in five colors. 2. A travel adapter so you can visit 150 countries and never worry about how to plug in your straightener. Get it from Amazon for $17.99 (down from $36.99). Available in four colors. 3. 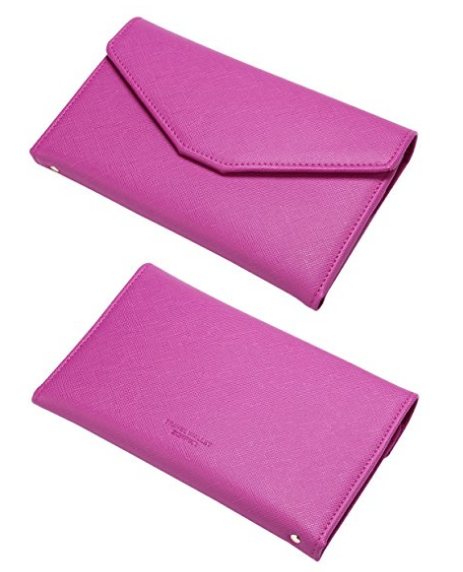 A travel wallet with RFID blocking shield material to cover your credit cards so no one can steal your fabulous identity. 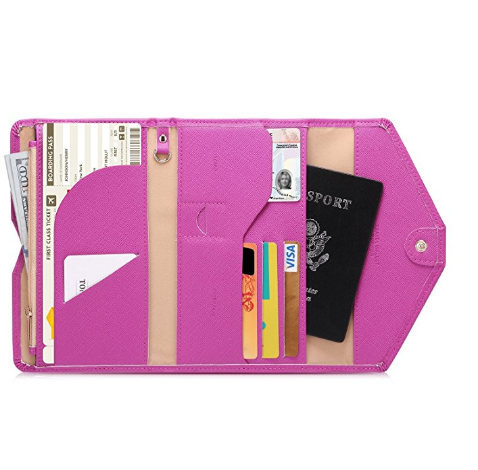 Includes one passport pocket, one boarding pass compartment, three credit cards slots, one ID slot, one sim card pouch, one coupon ticket slot, one cellphone pouch, one money and coins zippered pocket, one key holder, one pen holder, and one slim pocket. Get it from Amazon for $14.99 (down from $38). Available in 17 colors. 4. 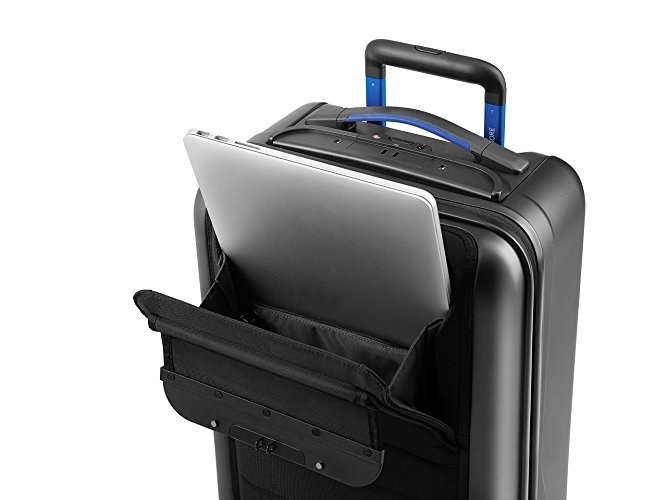 A foldable storage bag that slips over your suitcase handle so you have one less thing to lug around. Get it from Amazon for $12.99 (down from $14.99). Available in four colors. 5. 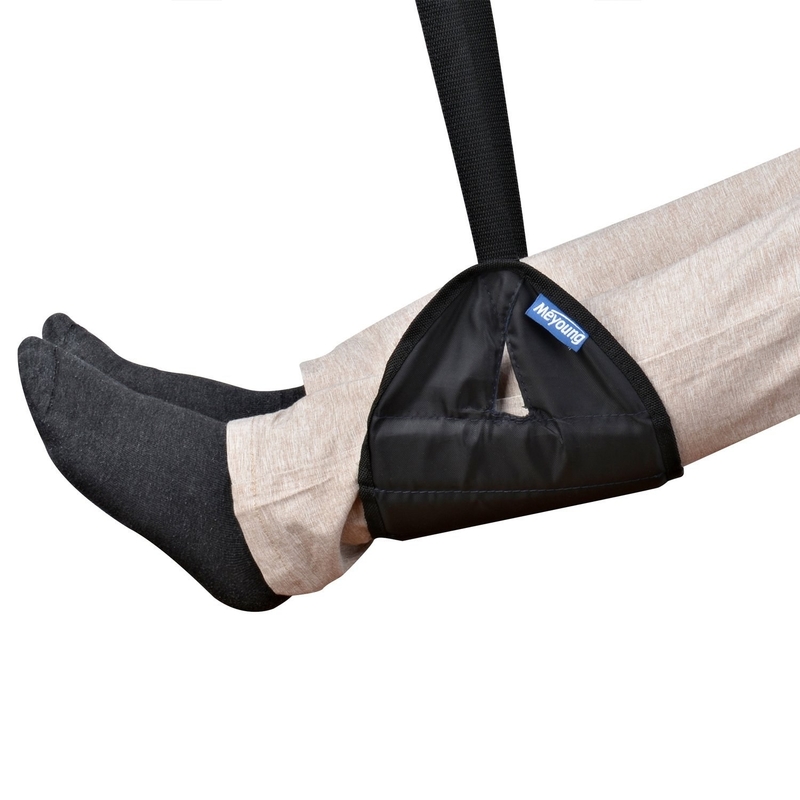 A foot hammock so you'll be as comfortable as a first class flyer. Get it from Amazon for $13.99 (down from $18.99). 6. A water-resistant backpack that folds up for easy packing. Get it from Amazon for $15.99 (down from $27.98). Available in six colors. 7. 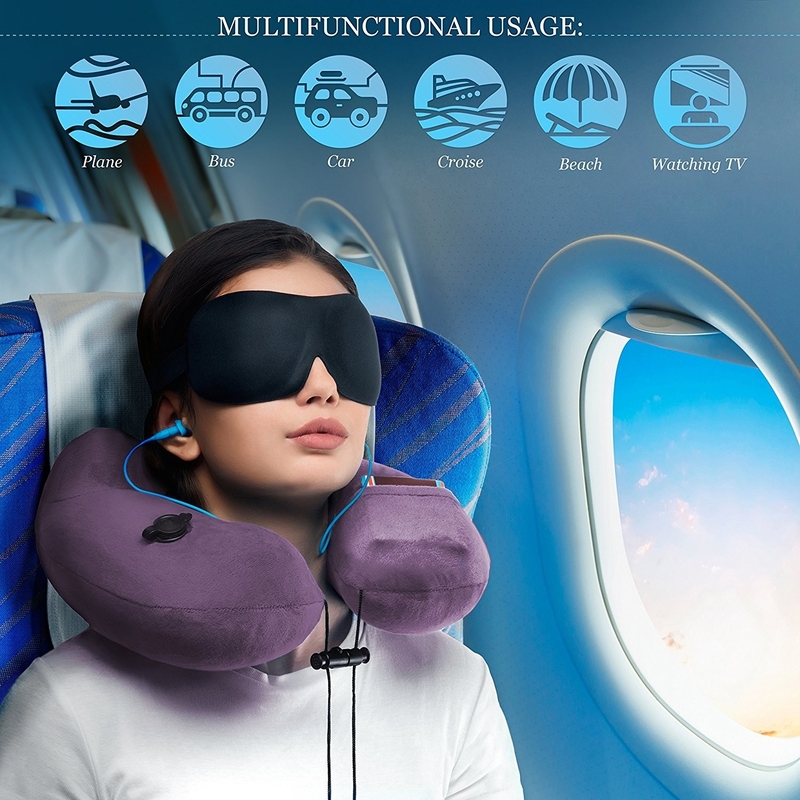 A neck pillow set with an eye mask and ear plugs so you can sleep through all the crying babies on the plane. Get it from Amazon for $23.98 (down from 40). Available in four colors. 8. 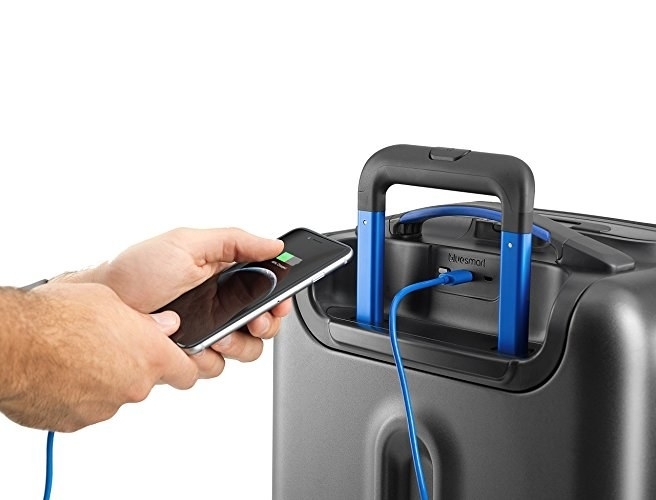 A durable travel case to organize all of your cords and small items. Get it from Amazon for $7.80 (down from $11.80). 9. A collapsible water bottle because every inch of space counts in your suitcase. Get it from Amazon for $19.95 (down from $29.95). 10. 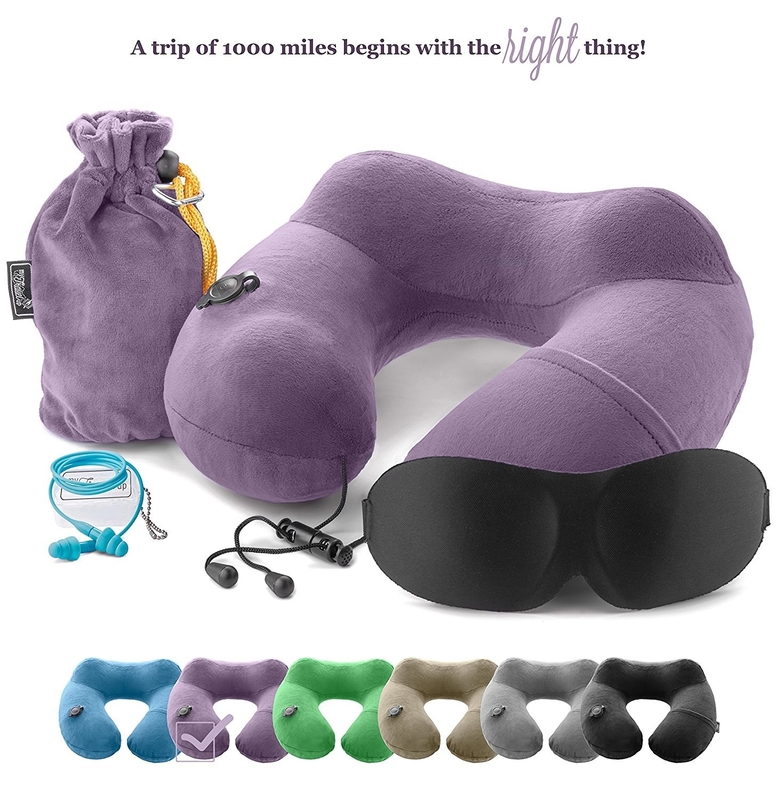 Bluetooth headphones for a tangle-free trek through the airport. Get them from Amazon for $36.97 (down from $169.99). Available in two colors. 11. A portable charger so your batteries never die mid-show on the plane. Get it from Amazon for $29.99 (down from $43.99). Available in two colors. 12. 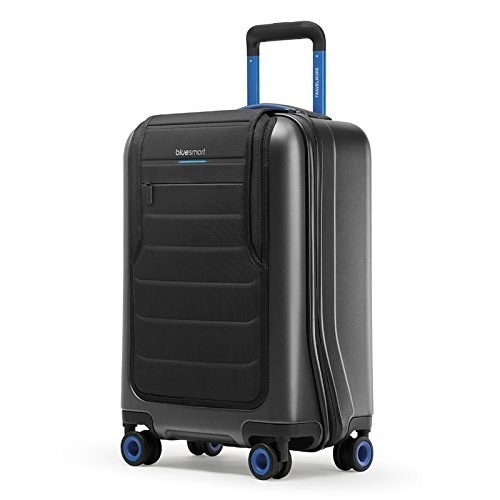 A smart suitcase with a built-in scale so you'll never get charged for going over the weight limit. 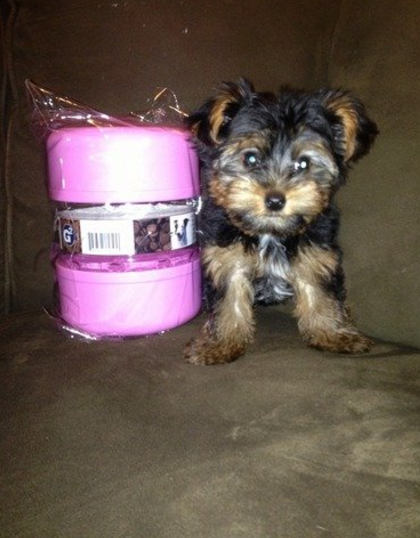 Get it from Amazon for $314.28 (down from $449). 13. 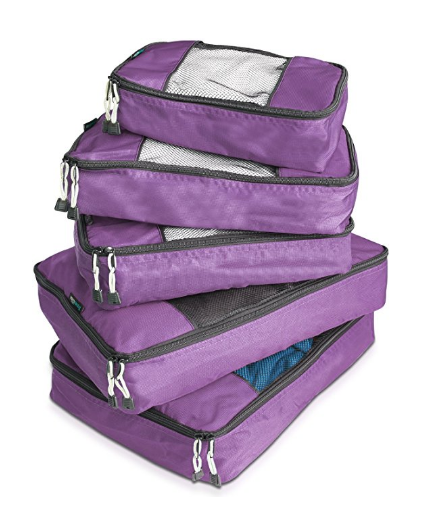 A cosmetic bag to easily store your toiletries in one organized place. Get it from Amazon for $12.49 (down from $22.90). 14. 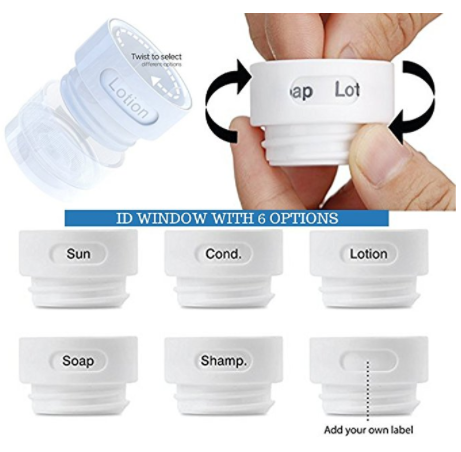 Hand sanitizer singles so you stay healthy your entire trip. Get a case of 1,000 on Amazon for $43.60 (down from $71.46). 15. A makeup brush set with a case because no brush should be left behind. Get it from Amazon for $29.88 (down from $79.95). 16. A small steamer that easily travels so you don't have to use a dry cleaner on vacation. Get it from Amazon for $26.99 (down from $69.99). 17. 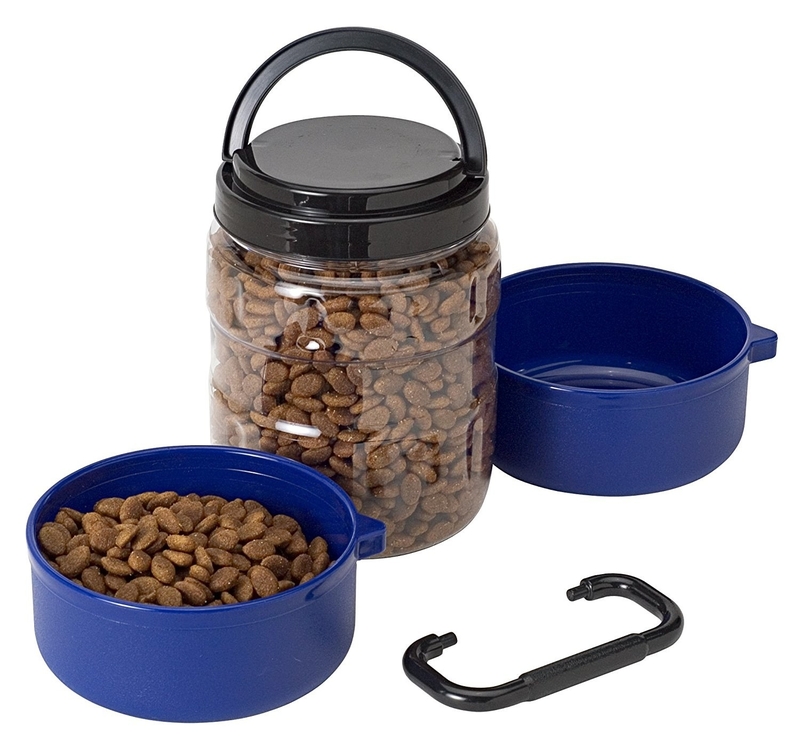 A pet food container with two bowls for easy feeding on the go. Get it from Amazon for $9.99 (down from $14.99). 18. 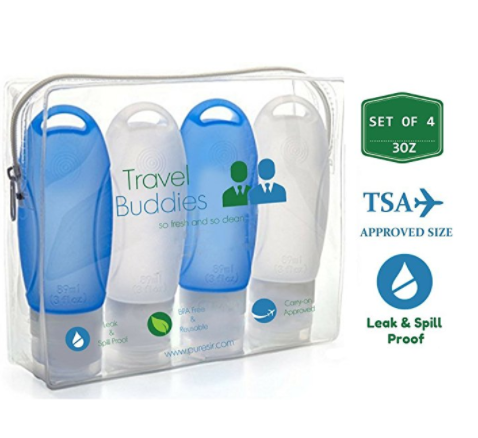 TSA-approved travel bottles with labels so you always know what's inside. Get it from Amazon for $17.99 (down from $39.95). 19. A Kindle Paperwhite to store all your favorite books without taking up any space. Get it from Amazon for $84.99 (down from $109). 20. Cleansing wipes so you stay fresh during a long day of travel. Get them from Amazon for $14.75 (down from $43.99). 21. A folding toothbrush to save space and act as a case all in one. Get it from Amazon for $5.24 (down from $7.99). 22. 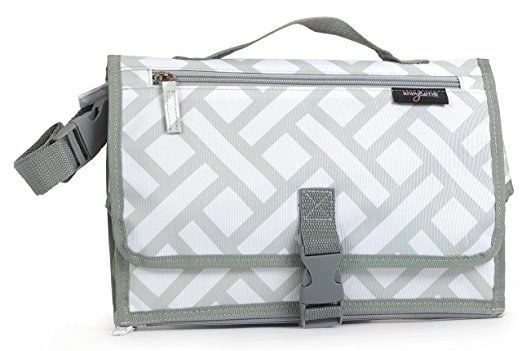 A diaper bag with a built-in changing pad to avoid the germ-filled airport bathrooms. Get it from Amazon for $18.82 (down from $29.99). Available in three colors. 23. A mini bluetooth speaker that's easy to pack in your luggage so the party never stops. Get it from Amazon for $18.85 (down from $34.99). 24. A small umbrella with a case because you can't predict the weather.